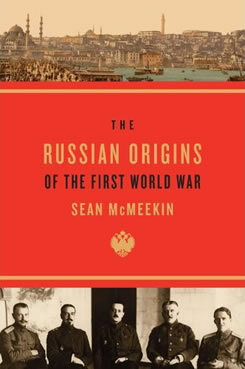 Andrew Lownie Literary Agency :: Book :: The Russian Origins of the First World War. The Russian Origins of the First World War. The catastrophe of the First World War, and the destruction, revolution, and enduring hostilities it wrought, make the issue of its origins a perennial puzzle. Since World War II, Germany has been viewed as the primary culprit. Now, in a major reinterpretation of the conflict, Sean McMeekin rejects the standard notions of the war’s beginning as either a Germano-Austrian preemptive strike or a “tragedy of miscalculation.” Instead, he proposes that the key to the outbreak of violence lies in St. Petersburg. It was Russian statesmen who unleashed the war through conscious policy decisions based on imperial ambitions in the Near East. Unlike their civilian counterparts in Berlin, who would have preferred to localize the Austro-Serbian conflict, Russian leaders desired a more general war so long as British participation was assured. The war of 1914 was launched at a propitious moment for harnessing the might of Britain and France to neutralize the German threat to Russia’s goal: partitioning the Ottoman Empire to ensure control of the Straits between the Black Sea and the Mediterranean. Nearly a century has passed since the guns fell silent on the Western Front. But in the lands of the former Ottoman Empire, World War I smolders still. Sunnis and Shiites, Arabs and Jews, and other regional antagonists continue fighting over the last scraps of the Ottoman inheritance. As we seek to make sense of these conflicts, McMeekin’s powerful exposé of Russia’s aims in the First World War will illuminate our understanding of the twentieth century. "Casting a contrarian eye on the first major conflict of the twentieth century, Sean McMeekin finds the roots of WWI inside Russia, whose leaders deliberately sought—for their own ends—to expand a brawl that the Germans wanted to keep local. The author tracks the fallout of these antique plots right down to the present geopolitical landscape." "An entirely new take on the origins of World War I comes as a surprise. If war guilt is to be assigned, this book argues, it should go not only (or even primarily) to Germany—the long-accepted culprit—but also to Russia… Bold reading between the lines of history." "Going against a century of received wisdom, Bilkent University professor McMeekin offers a dramatic new interpretation of WWI… Rifling the archives, analyzing battle plans, and sifting through the machinations of high diplomacy, McMeekin reveals the grand ambitions of czarist Russia, which wanted control of the Black Sea straits to guarantee all-weather access to foreign markets. Maneuvering France and England into a war against Germany presented the best chance to acquire this longed-for prize. No empire had more to gain from the coming conflict, and none pushed harder to ensure its arrival. Once unleashed, however, the conflagration leapt out of control, and imperial Russia herself ranked among its countless victims." "As Sean McMeekin argues in this bold and brilliant revisionist study, Russia was as much to blame as Germany for the outbreak of the war. 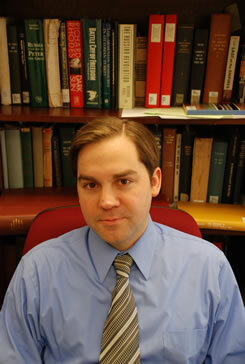 Using a wide range of archival sources, including long-neglected tsarist documents, he argues that the Russians had ambitions of their own (the dismantling of the Austro-Hungarian and Ottoman empires, no less) and that they were ready for a war once they had secured a favorable alliance with the British and the French." "A bold reinterpretation of the Russian Empire’s entry into the First World War.McMeekin argues that Russia believed a European war to be in its interest, that it sought to humiliate Vienna, and that it hoped to conquer Constantinople and the Ottoman Straits." "This book should forever change the ways we have understood the role of Russia in the First World War." "The Russian Origins of the First World War is a polemic in the best sense. Written in a lively and engaging style, it should provoke a much-needed debate on Russia’s role in the Great War." "...a thoroughly revisionist book that seeks to change our entire understanding of the First World War... this exciting and most important book ."